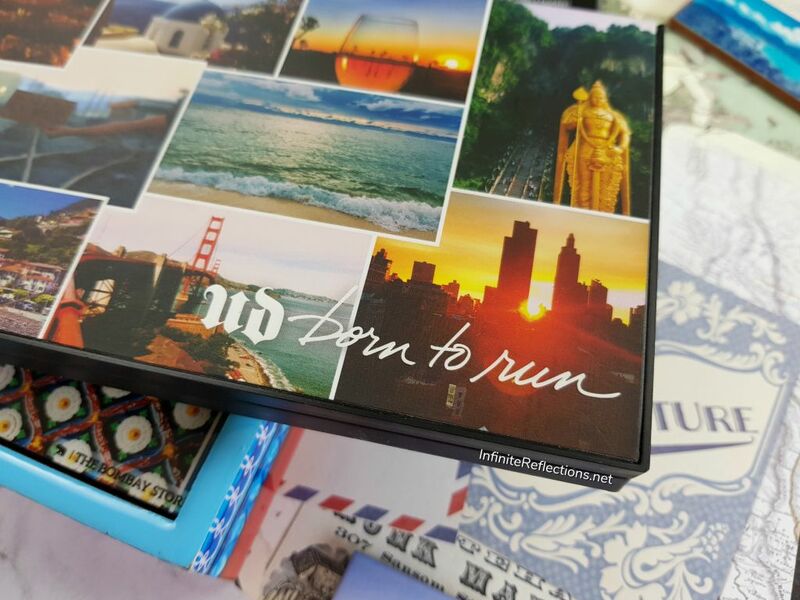 “Born to Run” – Isn’t it such an uplifting feeling? 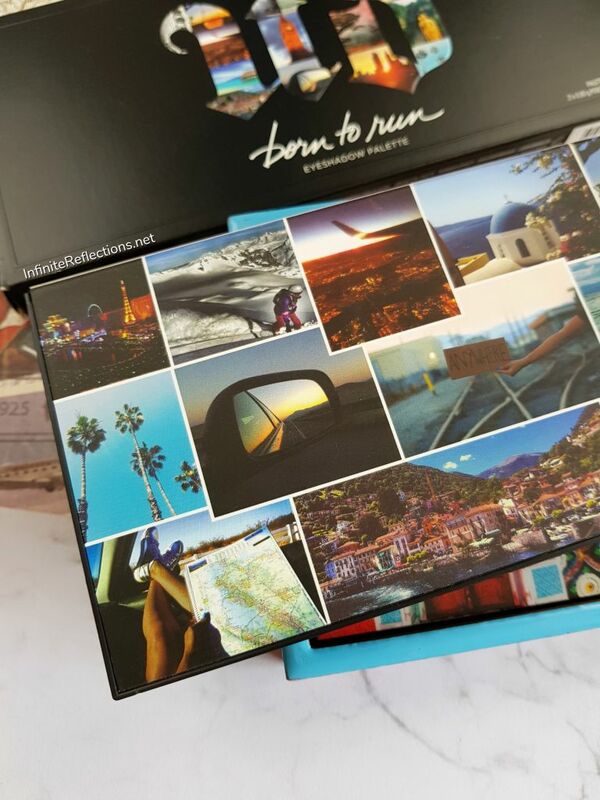 The Urban Decay Born To Run palette came home to me mainly because of the theme and idea behind the palette. Quite obviously, I fell in love with the packaging first and then the shadows inside. 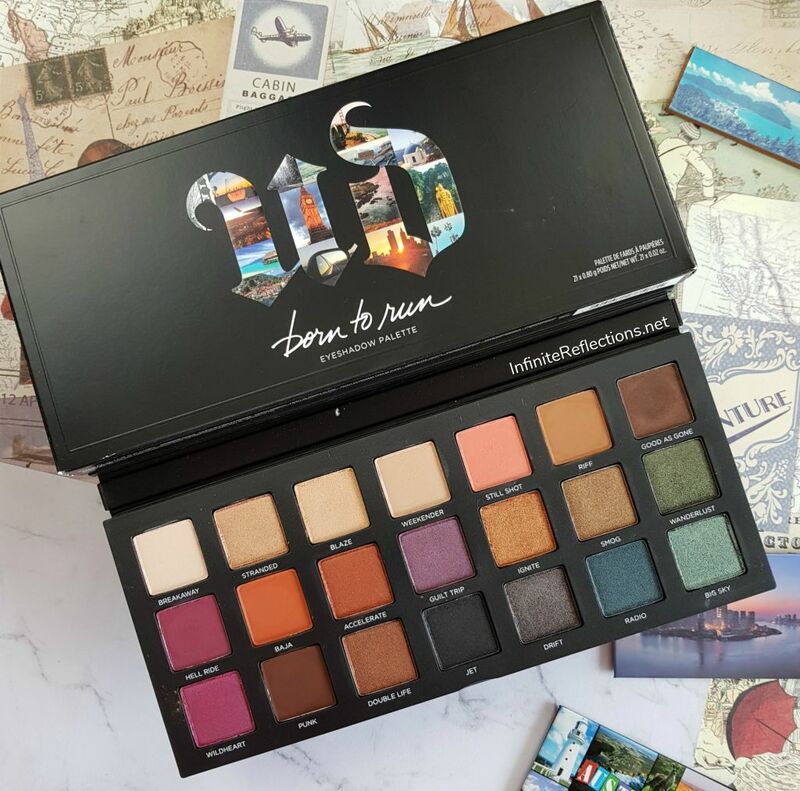 The Born To Run palette is one of the latest eyeshadow palettes released by Urban Decay. 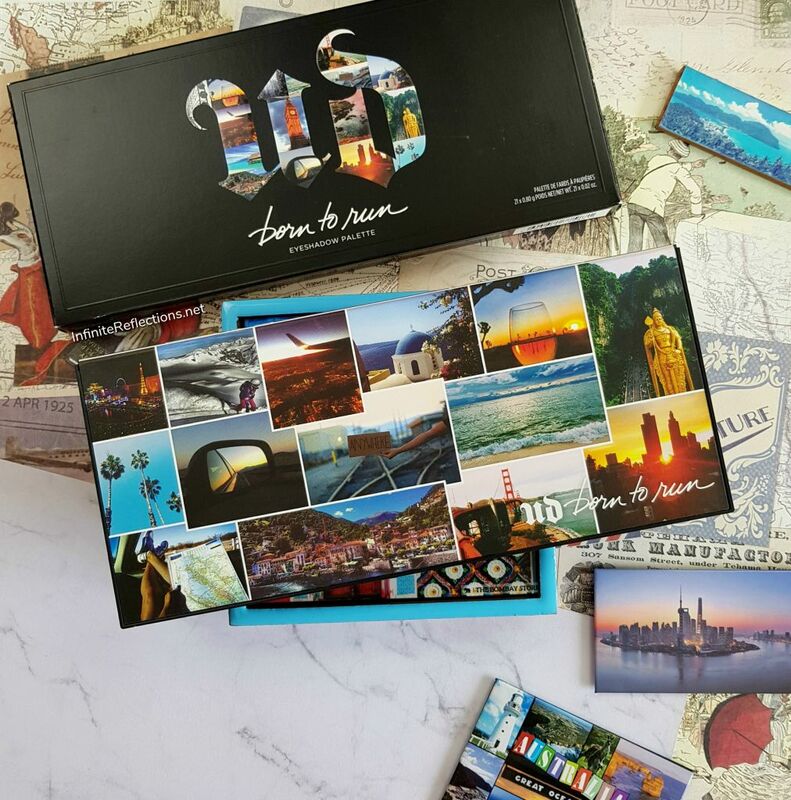 It is a travel inspired palette with a mix of neutrals and fun colours to create a variety of looks. It is marketed as an all-in-one eyeshadow palette which can be used to create neutral looks as well as deeper smoky looks, ideal for travel. Where did I buy it? 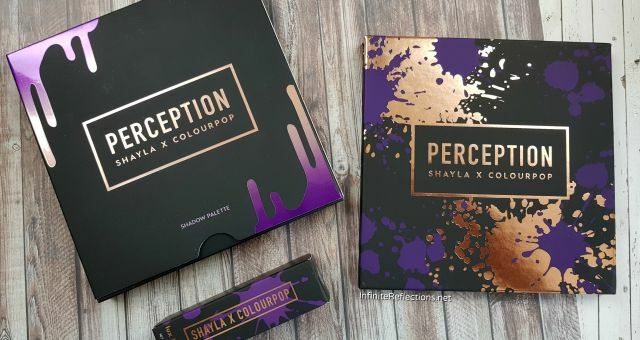 I wasn’t supposed to get this palette as I have made a very similar custom palette using some my colourpop eyeshadows from the magnetized 12 pan palettes. I will insert a picture below, so that you can see the similarities. But, when I was in Sephora I just couldn’t keep this Urban Decay palette down. In addition, this palette was getting pretty good reviews. Hence, I purchased it. How much was it for? The palette retails for SGD 76, which was a bit surprising in a good way. 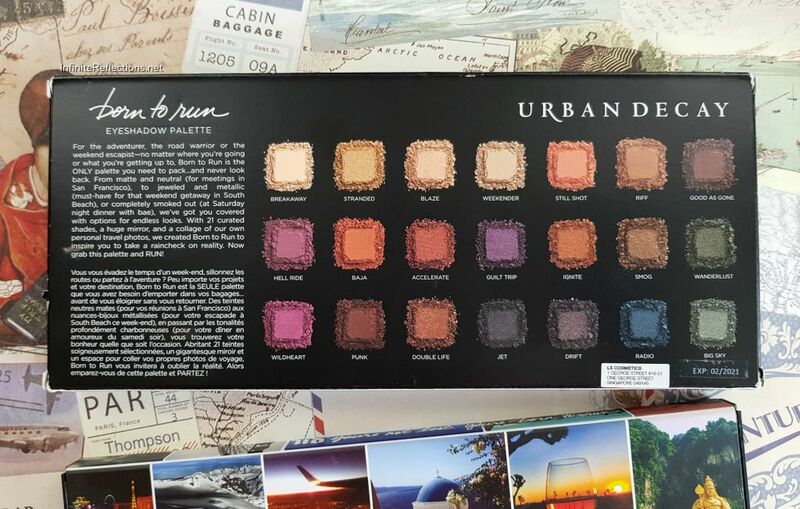 The usual Naked line palettes retail for SGD 83 here. 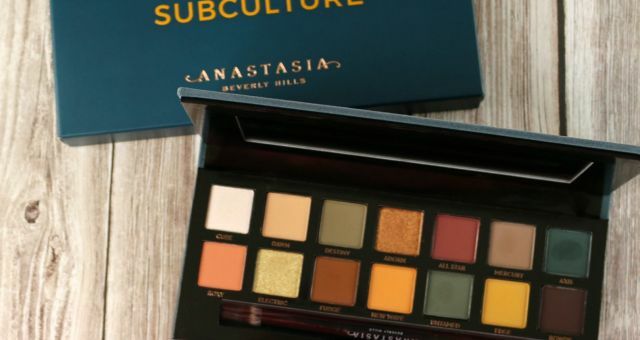 So, this being a bigger palette with more shades but less expensive than their traditional palettes was a welcome move. 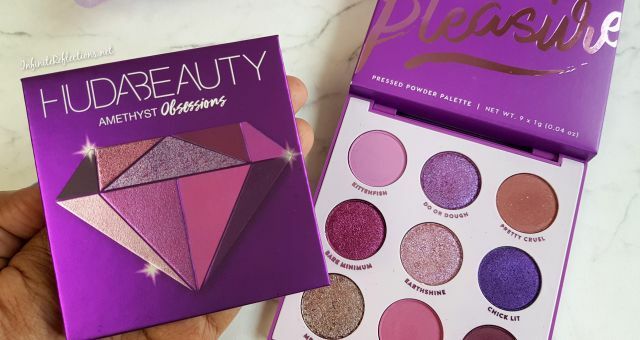 A very good thing about this palette is that it is not limited edition, so you can purchase it during the 20% sale as well. I used by 300 points perk and got 10% off. How much product do we get? 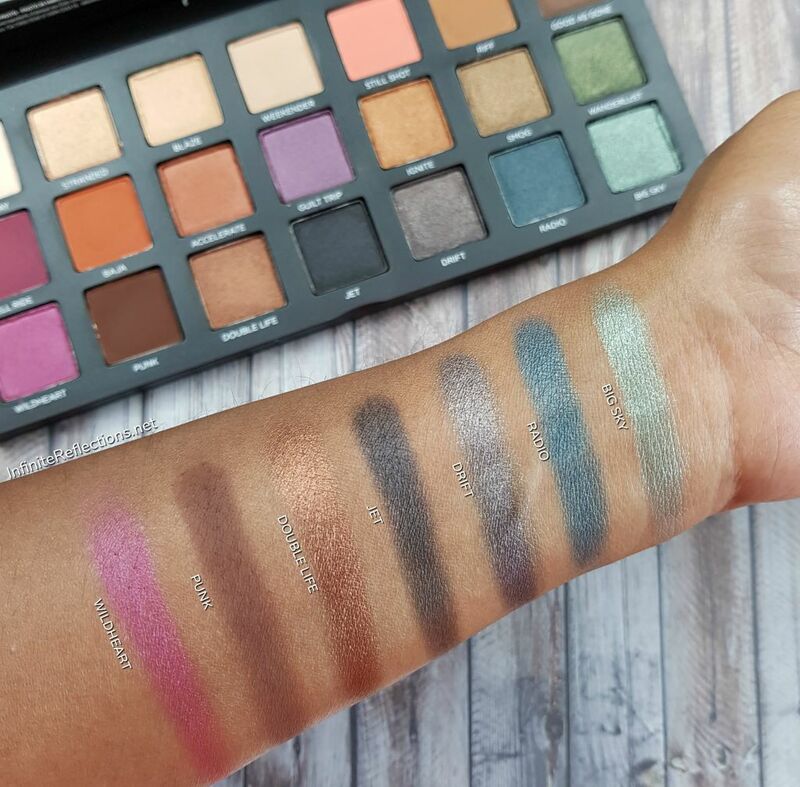 This palette contains 21 eyeshadows and each shadow is 0.80 gm / 0.02 oz. I think it’s a pretty decent value palette. The ingredients are mentioned on one of the sides of the outer box, but mine got a bit ruined. So, I will link the official website where you can check out the ingredients. How is the packaging? The packaging and the theme of this palette definitely attracted me the most. 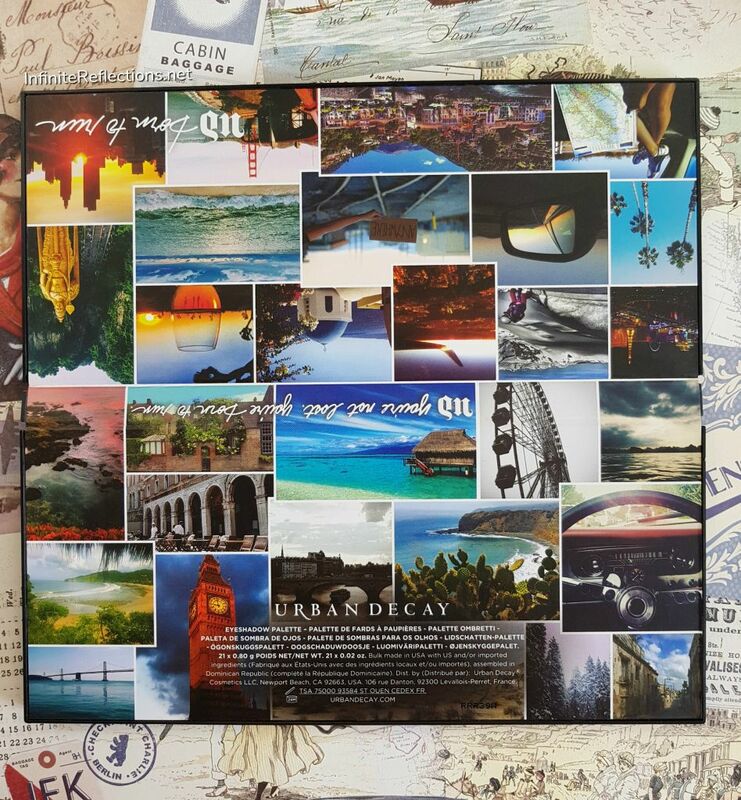 The palette cover is filled with beautiful pictures from various places around the world. I am lucky to have been to some of those places but this palette is a nice reminder of how much more there is to explore. The palette contains a lot of eyeshadows but a good thing is that it is not a super big palette. I like the size and the fact that it is easy to handle and work with. It can also lay completely flat, which I love. The palette body is a mix of plastic and high quality cardboard, so it feels very sturdy. It has a weight to it and doesn’t feel super lightweight, but I wouldn’t mind travelling with it. There is a good sized, good quality mirror in the palette which is always appreciated. What is the finish of the shadows? The palette has a mix of neutral and colourful shades in matte, satin and shimmer finishes. Out of the 21 eyeshadows, just 6 are matte shades and rest are satin or shimmer finish shadows. The shadows have been described as below on the Urban Decay website. Here are the swatches on my skin tone. How was my experience? I have been using this palette for the past 2 weeks now, and I have been enjoying it a lot. 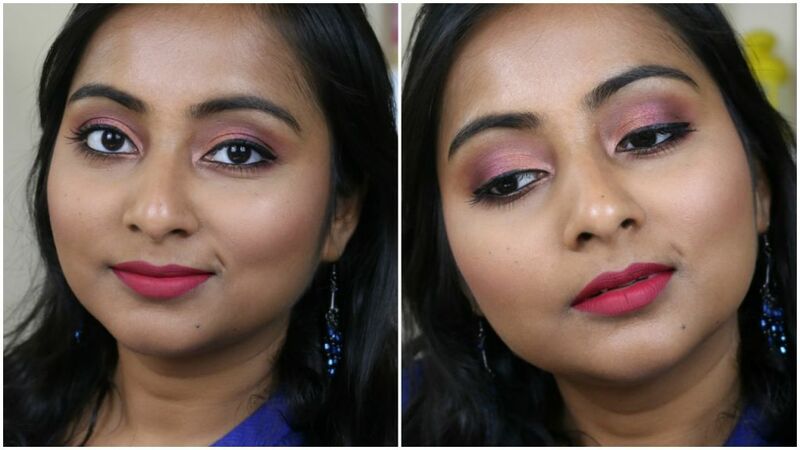 It is definitely a very versatile palette and I was able to create quick simple fun looks in no time. I can see why it would be a very good travel palette. 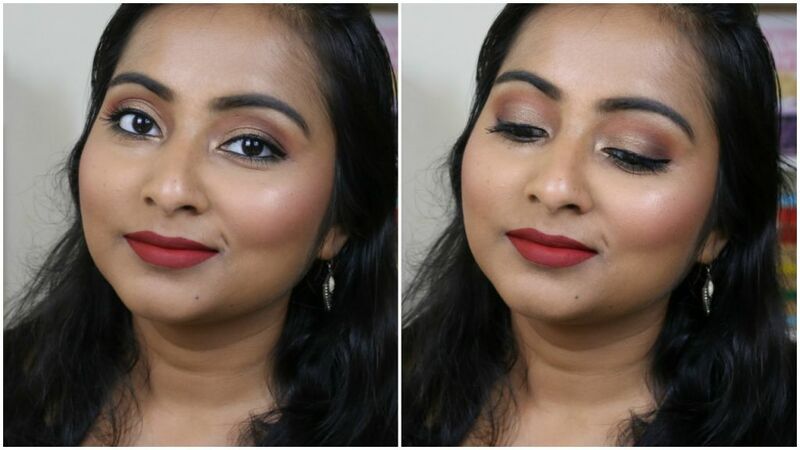 There are some warm toned colours as well as some cool tones which makes it really fun and challenging to come up with different looks. 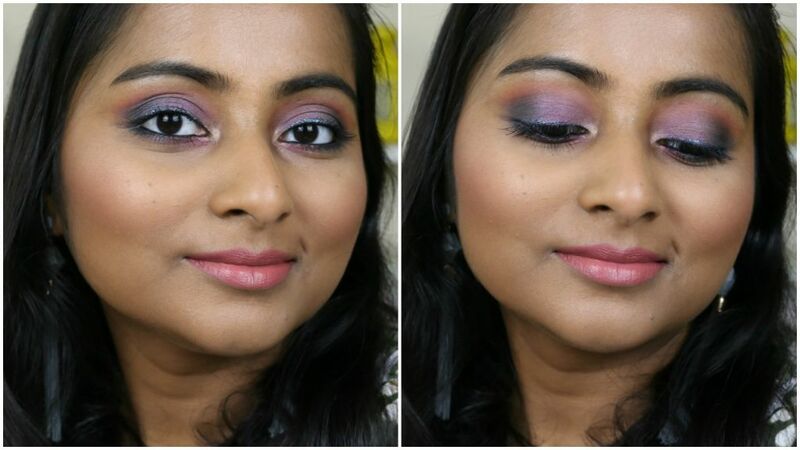 If someone isn’t very comfortable using colours but want to try colourful eye looks, then this palette could be worth a try. The colours are somewhat on the muted side, and they don’t look too out there, specially on my skin tone. Now, this could be a good or bad thing depending on your preference. 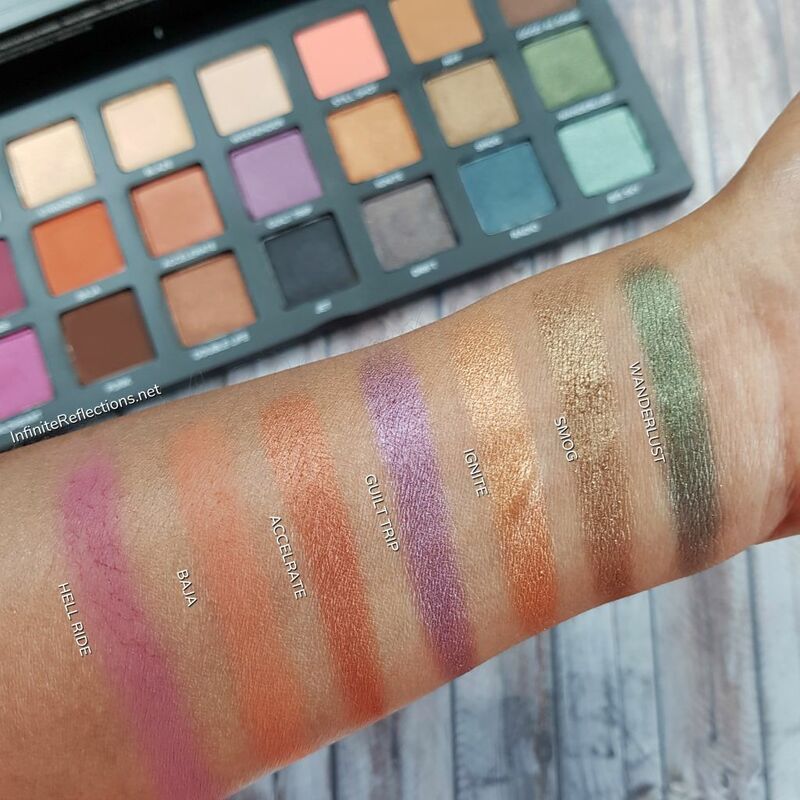 There are only 6 matte shades in the palette so this is a very shimmer heavy palette. Most of the shades are either satin finish or shimmer finish shades. I, personally, love shimmers and satins so it doesn’t really bother me much. 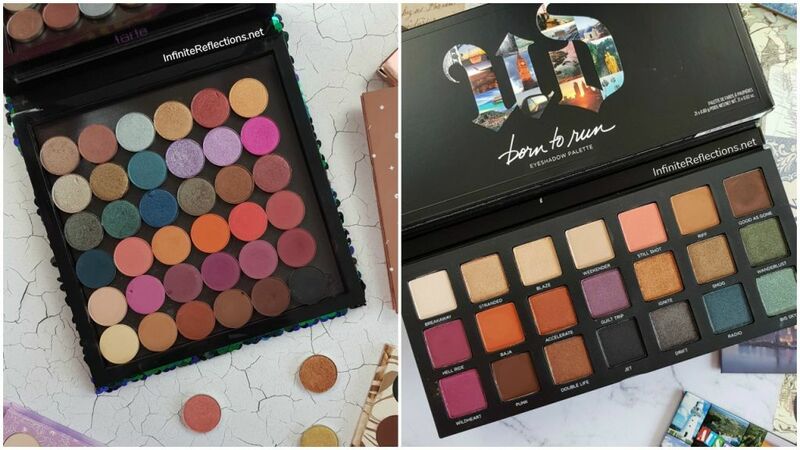 But, if you love a lot of mattes in your eyeshadow palettes then you might have some issues here. 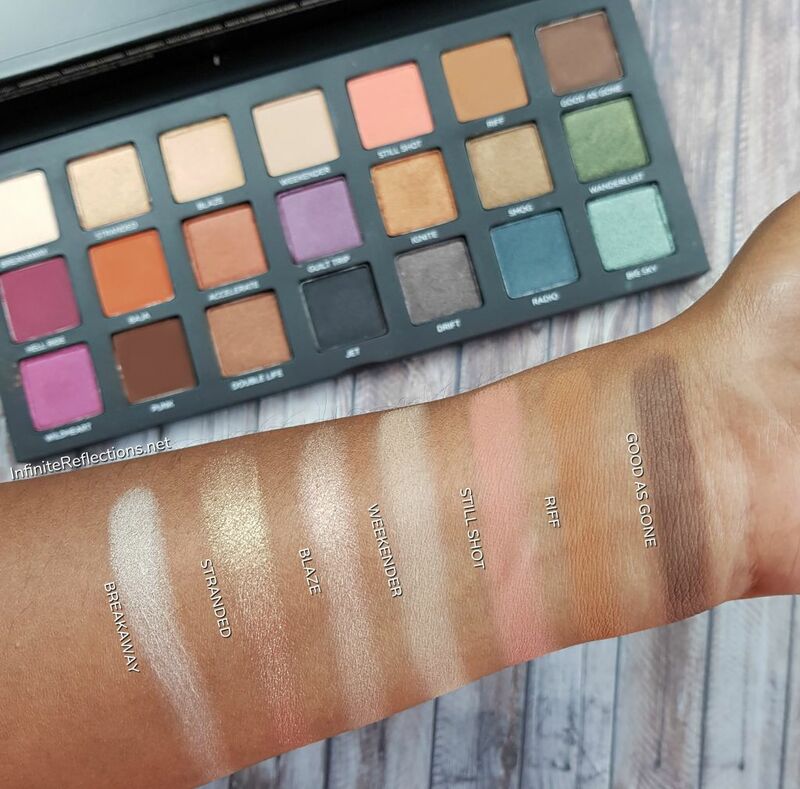 As for the quality of the shadows, the mattes in the palette are really nicely pigmented and very easy to blend. They are not super intense at first go, at least on my skin tone, so I definitely need to build up the mattes. I also experienced some fall out with them. The satin shades are really beautiful and very intense compared to some satins I have used in other palettes. They are pretty easy to work with. The shimmer shadows are also high quality with very smooth texture and understated shine. They look really beautiful on the eyes but I prefer using them with a setting spray like Mac Fix+. The shimmers definitely pop more when used in conjunction with a setting spray. I have also faced quite a lot of fallout with the shimmers too. So, I will recommend doing the eyes first when using this palette. Another issue I have with the palette is that the lighter matte shades are not very long lasting on my eyelids without a primer. So, I will definitely recommend using this palette with eyeshadow primers and setting sprays to make the shadows look more vibrant. Even without them, the shadows work pretty well but the look will be a bit more muted. Again, this depends on the preference of the person using the palette. Overall, I do really love the quality of the palette, inspite of some minor issues. 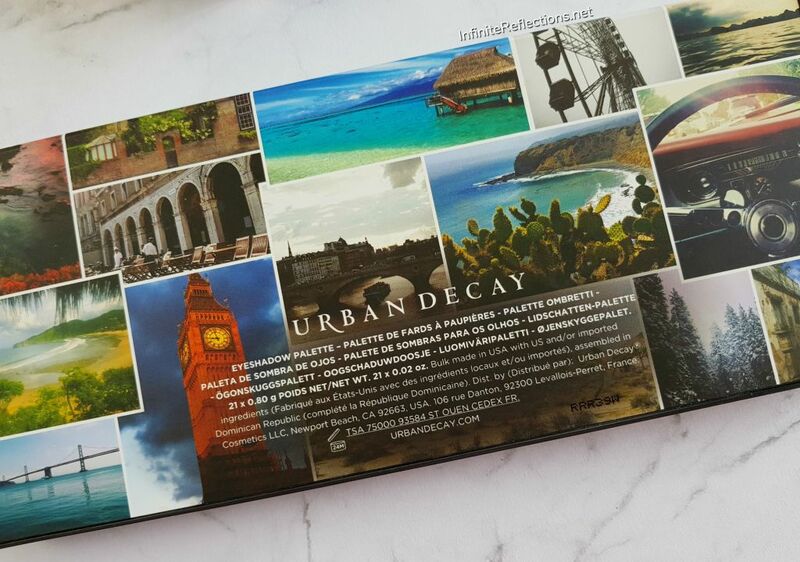 This palette will surely come with me when I travel next. 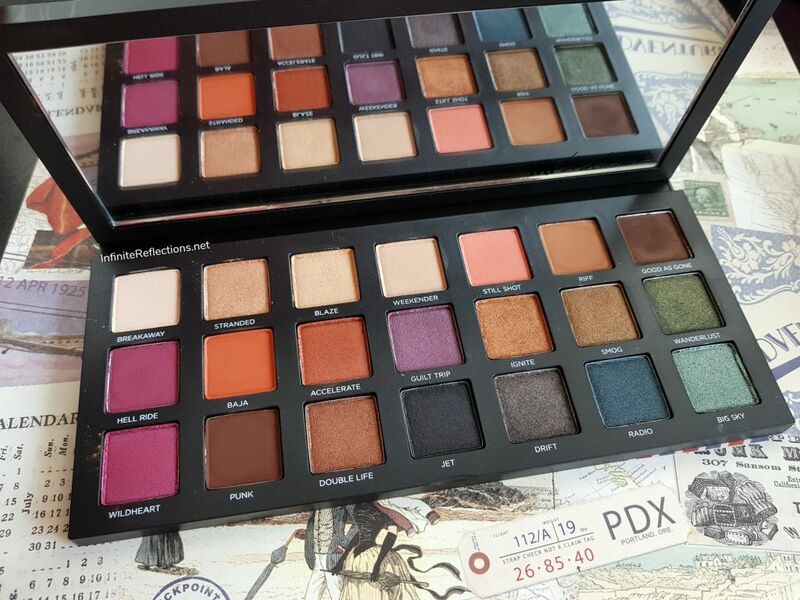 I will recommend this to anyone who is looking for a versatile palette and don’t have a lot of colours in their collection. I created some looks with this palette. 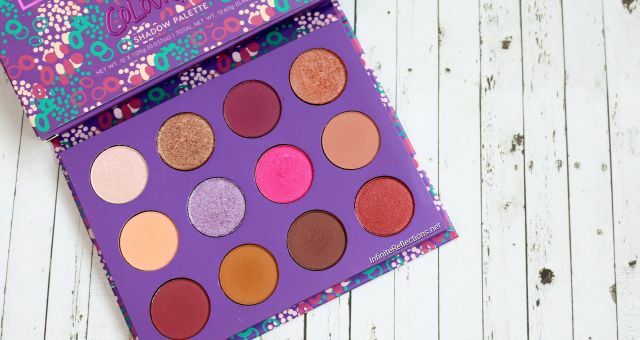 For fun, here is the Colourpop palette I mentioned earlier. Do they look similar? I would say there are some similarities but not exactly same. That’s all for this post. Hope it was helpful. Awesome packaging, and shade selection. I love all your look with this palette 😍😍😍👌👌👌👌. Awesome Palette.& all looks are superb.looking so beautiful in all looks.